Rains usually occur at night so pool time isn't interrupted. Don't forget to keep your camera close at hand because the show that Mother Nature puts on with lightning is something to behold - and capture on film. Puerto Vallarta, Mexico - Spring is upon us, visitors to Puerto Vallarta have hardly dwindled and more people are finding it a place to not only visit, but to live during the summer months, which are just around the calendar corner. 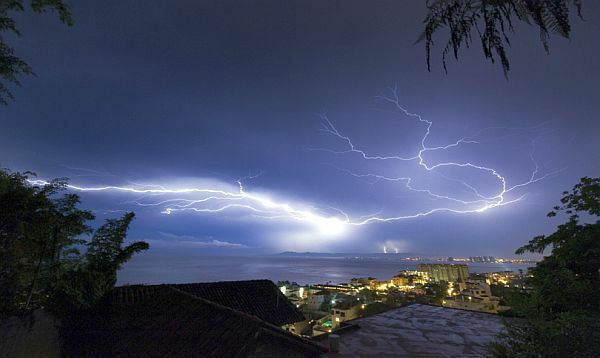 Puerto Vallarta is a great place to be from May through October for so many reasons. There are definitely less people here but that's not a caveat. We love not having to wait in lines at theaters, making reservations at restaurants and oh, boy... the traffic. Fewer people translates to a smaller number of cars on the roads and in town. Less buses and taxis too, which means less noise. The rain in Puerto Vallarta is a part of jungle living and it creates the lush, effervescent environment that makes this such a gorgeous place. If you're into hiking, this is the time to observe the vegetation really taking a stand. The waterfalls are vibrant and full, scents are delicious, and the beauty is unparalleled. Ocean temps are balmy and the Bay of Banderas is a safe place for swimming, snorkeling and diving. Rains usually occur at night so pool time isn't interrupted but if you're caught in a deluge, don't fret; it will soon pass. Don't forget to keep your camera close at hand because the show Mother Nature puts on with lightning is something to behold - and capture on film. Summertime is a great time for fishermen, with tuna and marlin challenges in July. There will be plenty of competition, but package rates for hotels and flights will be cheaper, with lots of great choices. We recommend either a large chartered boat or one of the smaller pangas (large open skiffs) for a real adventure. Tournaments are fun for landlubbers, too; watching the results come in with weighing and awards is exciting. The Vallarta Botanical Garden is open 9 am to 6 pm but closed on Mondays from April through November. There's so much to see, with more new additions completed this year. It's a perfect family outing and their restaurant has a menu with selections suitable for all appetites and diets. 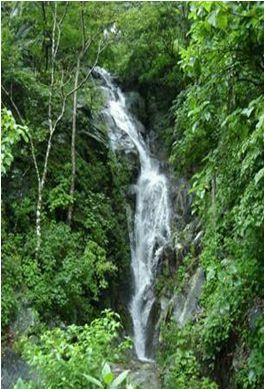 Bring your swimsuit; the river is a short hike down the hill with marvelous crystal water and a shallow pool to dip in and swirl around. With so much to see and do, we always make this an all-day-trip. This is also a wonderful time to try a zipline. We recall the construction of the first zipline in Puerto Vallarta and now there are nearly a dozen, from south of Mismaloya to north of Sayulita. They will certainly be less crowded plus normal congestion on highways will be lighter to get to various locations. The terrain will be blossoming and verdant. 'Low season' also means lower rates for many area attractions. A locally-owned and operated real estate brokerage with a strategic location in the Romantic Zone of Puerto Vallarta in the Colonia Emiliano Zapata, Timothy Real Estate Group has been the number one selling and listing agency in the greater Bay of Banderas region since 2011. Because the Puerto Vallarta area has varying neighborhood personalities, we practice localized real estate. We believe neighborhood knowledge is a top factor in solid sales, and we know our communities well. If you are looking to sell or purchase a property, please contact one of the Timothy Real Estate Group agents for the best experience in Puerto Vallarta real estate. With 5 sales offices around the bay TREG agents know the local neighborhood markets and can ensure your experience is the best that it can be. For more information, visit TimothyRealEstateGroup.com.